The rumor mill has already been churning out details about Apple’s second-generation iPhone X, its larger sibling iPhone X Plus, and the LCD iPhone. Over the weekend, KGI Securities analyst Ming-Chi Kuo sent out not one but three research reports on Apple to investors. In his reports (via MacRumors), Kuo reiterated some of his earlier predictions and revealed fresh details about the iPhone X2 (or whatever it’s called), iPhone X Plus, and the 6.1-inch LCD iPhone that will arrive later this year. Kuo told clients that the second-generation iPhone X would have the same 5.8-inch OLED display as the last year’s model. Yes, the notch will remain where it is, though it could become smaller in 2019 flagship iPhones. There will be a second 6.5-inch ‘iPhone X Plus,’ which would have a larger display and a bigger battery compared to the second-generation iPhone X. The third device would sport a 6.1-inch LCD screen to keep the costs down. The KGI Securities analyst noted that the iPhone X2 and iPhone X Plus would each feature 4GB RAM. The LCD model is said to include 3GB RAM. The 6.1-inch LCD variant would also have a notch to accommodate the TrueDepth camera system to support Face ID and Animoji features, but it won’t be fully bezel-less. Kuo says the LCD iPhone would still have ultra-slim 0.5mm bezels on all four sides due to the limitations of the LCD technology. The LCD iPhone would be manufactured by Pegatron, Foxconn, and Wistron, with Pegatron having 60% share. Apple will reportedly source the LCD panels from Japan Display. Samsung will continue to supply OLED panels for the second-generation iPhone X and iPhone X Plus. However, Apple is adding LG Display as the second OLED supplier to diversify its supplier base. LG Display is rumored to make 15-16 million OLED panels for the 6.5-inch iPhone X Plus this year. According to the KGI Securities analyst, all three new iPhones will have bigger batteries. The second-generation iPhone X is said to pack 2800mAh battery, up from 2715mAh in the iPhone X. The iPhone X Plus would have an even larger 3300 – 3400mAh battery, thanks to its larger physical size. The LCD variant would come with a 2850 – 2950mAh battery. Kuo told investors that Apple has decided to use the same two-cell L-shaped battery design for the iPhone X2 and iPhone X Plus that it used in the iPhone X. The analyst had earlier claimed that Apple could use a single-cell, L-shaped design in the new iPhones to pack bigger batteries. But that’s not going to happen. The LCD iPhone would continue to use the same old rectangular battery design. The 6.1-inch LCD model is expected to retail at $700 to $800 in the United States. Instead of using a steel frame, Apple would switch to an aluminum chassis for the LCD iPhone. The company will also remove the 3D Touch functionality from the device to make it affordable compared to the OLED variants. Kuo claims the device will feature only a single camera lens on the back. The analyst added that the iPhone X2 would cost $1,000 for the base model. The larger iPhone X Plus could set you back by $1200 to $1400. They are certainly not going to be cheap. The LCD iPhone with a price tag between $700 and $800 would be the most affordable 2018 iPhone. It means people looking for even more affordable alternatives would have to go back to the iPhone 7, which is expected to retail at $449 when the new iPhones come out. Kuo has said earlier that Apple is going to discontinue the iPhone X this year. The iPhone X sales have been decent, but not great. Apple knows that keeping the anniversary iPhone at a lower price point would cannibalize the sales of the 2018 LCD iPhone. It might even eat into the sales of the iPhone X2 and iPhone X Plus because the upcoming OLED models would offer only minor upgrades compared to the iPhone X. Discontinuing the iPhone X would help Apple mint more money out of every customer’s wallet. The KGI Securities analyst believes that the 6.1-inch LCD iPhone would be a huge hit among consumers. It will be offering iPhone X-like design and features at a lower price point, though it will lack some key features like 3D Touch. Kuo predicts the LCD iPhone would account for 50% of new iPhone sales in the second half of this year. According to research firm Canalys, Apple sold 29 million iPhone X units during the holiday quarter. However, most analysts predict the iPhone X sales would decline heavily in the current quarter. 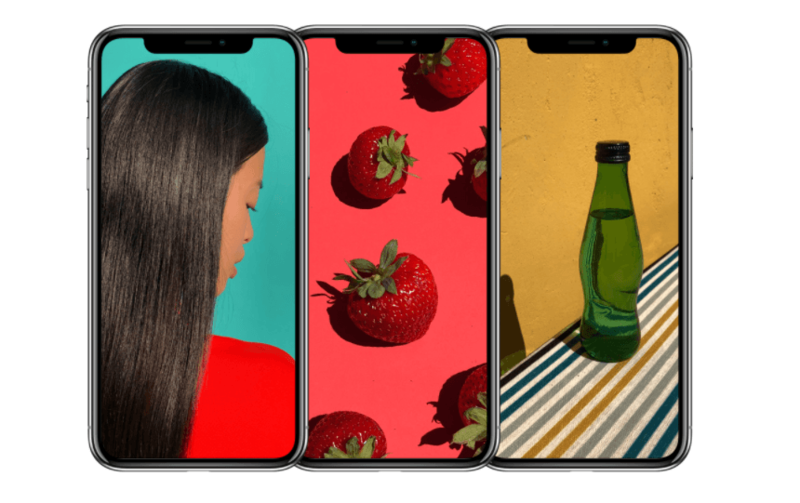 Kuo predicts only 18 million iPhone X units would be shipped in the current quarter. Credit Suisse analysts expect Apple to sell 19 million iPhone X units in January-March period.